While visiting Upper Murray River region, you can experience and appreciate the vast landscapes that gives life to Australia’s greatest river system. Starting from the very beginning of the Murray River in the Snowy Mountains, and heading downstream towards Albury, there are some great places to stay and visit, while enjoying what the area has to offer. In this section, I want to expand on the question of “Where Does the Murray River Start“, to include what the landscape looks like, special places to visit, what are the popular activities enjoyed in the Upper Murray River region. I even want to cover some neat places to stay while exploring the natural wonders of the area. 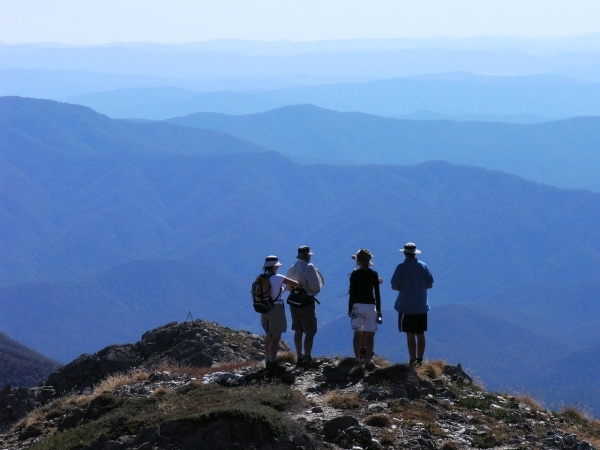 The Kosciusko National Park is set high up in the Great Dividing Range in NSW, occupying over 690,000 hectares. The landscapes of the park features steep forest covered ridges, that recede into crystal clear streams, and bare granite outcrops, where you can just sit and stare at the jaw-dropping view that can extend many kilometers into the distance. The jewel in this national parks crown would have to be Mt. Kosciusko itself, which is Australia’s highest mountain, at 2230 metres high. Visitors travel from all parts of the world to enjoy what this great National Park has to offer, including hiking, abseiling, skiing, horse riding, white-water rafting, camping, and cycling. To get the most of your visit to the area, make sure you checkout the most popular Kosciusko National Park lookouts, you won’t be disappointed. or alternatively an annual pass can be also be purchased. 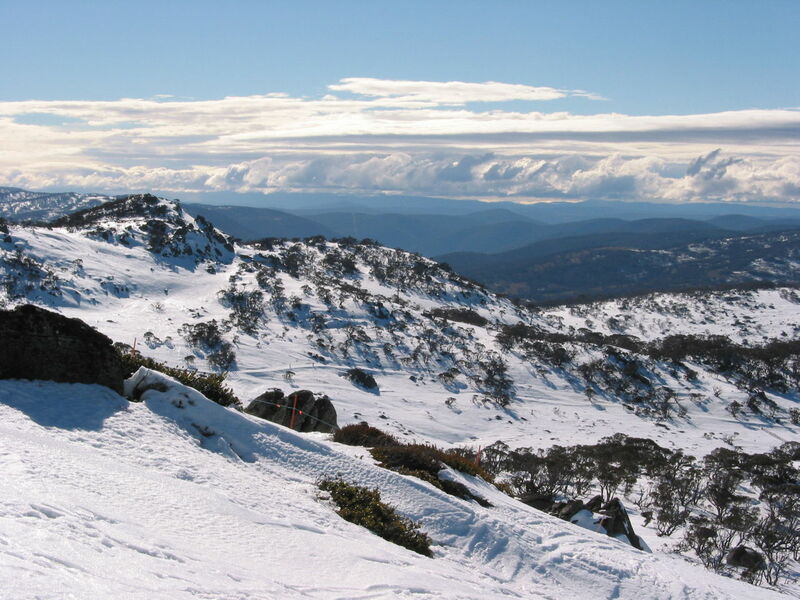 The Thredbo township and ski resort is nestled in the Snowy Mountains, situated 22 kms inside the NSW/Victoria border, in the Kosciusko National Park. 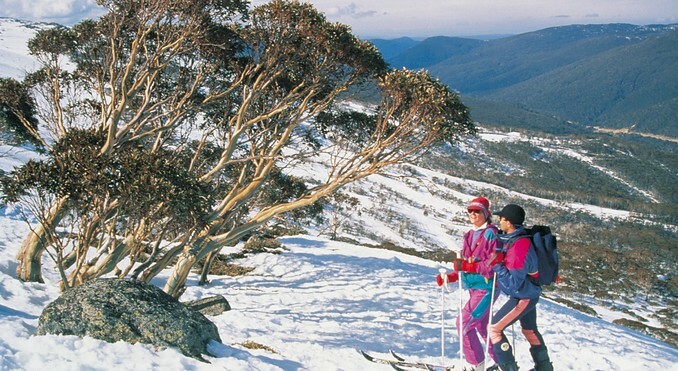 The Thredbo Resort is arguably Australia’s premier ski resort, with over 50 ski runs and 14 lifts, and boasts some of the longest runs in the country. In summer, Thredbo is also a hiking and summer sport hotspot, and is an ideal place to stay while exploring the Upper Murray River and Snowy Mountains region. Thredbo was modelled on a European skiing village, and boast an extensive array of services, shops, and luxury and budget accommodation. The picturesque town of Jindabyne, is known as the northern gateway to the Snowy Mountain ski fields, and is one of the highest townships in Australia. With jaw dropping views of Lake Jindabyne and surrounding mountains, no holiday to the Snowy Mountains would be complete without enjoying what the township of Jindabyne has to offer. Nestled on the southern side of the lake, which is half the size of Sydney Harbour, the views of Lake Jindabyne is only trumped by the mountains that surround it. The township is very popular with snow skiing adventurist in the winter, due to its proximity to the ski resorts, only 30 minutes away. 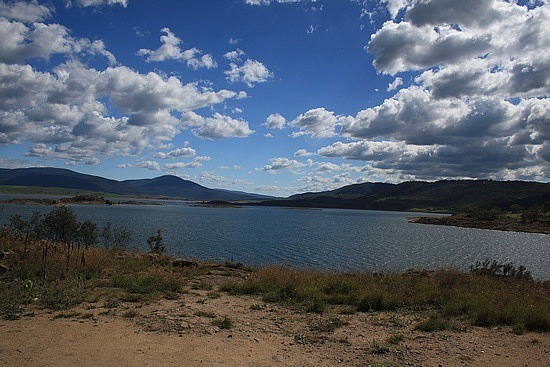 During the summer months, Jindabyne is also a popular destination for camping, hiking, boating, water-skiing, fishing, abseiling or horse riding. There is a great range of accommodation options available, whether its luxury resorts or budget apartments, and the town is also equipped with an airport. Located high up in the Snowy Mountains, Perisher is Australia’s largest ski resort, and for that matter the southern hemisphere. This ski resort consists of 4 villages, in the Perisher Valley, Smiggin Hole, Guthega and Blue Cow, covering 12 sq. Kms with 49 lifts. Another ski resort village is also just the road, in Charlotte Pass. Only a short distance from Thredbo, Perisher is also a great summer destination to base your holiday exploring the Snowy Mountains and Upper Murray River regions. Khancoban is a favored launching place to travel into Snowy Mountains, and explore the upper reaches of the Murray River. It’s also a popular place for abseiling, trout fishing, boating, and golf at the 9 hole Country Club. Situated on the western slopes of the Snowy Mountains in NSW, Khancoban has a rich history with the Snowy Hydro-Electric Scheme, overlooking to the scenic Khancoban Lake, and is nearby to the Murray 1 Hydro-Electric Power Station and visitor centre. As mentioned above Khancoban is an ideal spot to get your permit to travel through the Kosciusko National Park. Corryong is a small Victorian town, near the upper reaches or the Murray River. The town has a population of around 1200, and is a popular destination during “The Man from Snowy River Bush Festival”, held in April. Corryong is also a thrill seekers paradise, with many adventurous activities on offer such as rock climbing, horse riding, hiking, rafting, kayaking, fishing, cycling, and 4WD tours. Corryong is also a short drive to Burroa-Pine Mountain National Park and the Alpine National Park, which are both well worth the trip with some breathe-taking scenery. The Murray River is still relatively narrow and offers some great fly fishing in the rapids for trout and the odd murray cod if you’re lucky.